To refresh your memory, the Harlem Shake is an Internet meme that went viral on YouTube in early February 2013. The meme is in the form of a video that began being replicated according to a similar concept by many people. The art form of the Harlem Shake meme was established in a video uploaded on February 2 by five teenagers from Queensland, Australia known on YouTube as The Sunny Coast Skate. The video started a viral trend of people uploading to YouTube their own “Harlem Shake” videos. The teenagers’ video, in its turn, was a follow-up to a video by a YouTube comedy vlogger (or video blogger) named Filthy Frank featuring a part where several costumed people danced to the song “Harlem Shake” by Baauer. Today I’m featuring 5 other South African Harlem Shake videos. The first one is a Braai Version posted by Roscoe Kleinloog. It doesn’t feature someone in a motorcycle helmet, but it’s still pretty epic. I think @BraaiBoy should consider doing one of his own to top this one. The second South African version that I found was the Breakfast Show Version by the folks at SABC 3’s Expresso. This video is quite epic because it features the folks behind the scenes and the folks in the studio doing the Harlem Shake. There’s also a pretty freaky looking dude wearing some purple gloves in this version. The third South African version I found of the Harlem Shake is the Astronaut Version. It was posted by Jordan Wallace and features an AXE Astronaut because “Nothing Beats An Astronaut”. It was also shot on a beach in Durban. And yes, there are girls in Bikini’s involved too, so it’s well worth checking out. The fourth South Africa version of the Harlem Shake was by done by the folks at The DigitLab. This one features a dude under a desk looking freaky and another freaky guy in a furry animal suite. Pretty interesting, but not my favorite on this list. They get an A for originality though. The fifth SA Harlem Shake version comes to from the guys and gals at the Mail and Guardian. I never thought journalism could be this interesting. Imagine if this was one of your daily morning routines at work. You’d probably need a crapload of energy drinks to prepare for this on a weekly basis. It’s good to see that South African’s are quite clued up with what’s happening online. I’m not a fan of the song, but the phenomenon that is the Harlem Shake is pretty damn cool. A huge thanks to Fred Felton (who pointed all these videos out to me). Which one of these Harlem Shake versions is your favorite? Leave a comment and let me know. I’d like to hear your thoughts about this. Feedback is appreciated and welcome here. Feel free to share this post with your friends on Facebook and Twitter. Remember: Sharing is Caring. 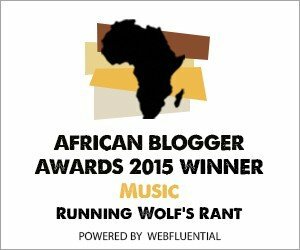 Watch this space for regular updates in the Humor category on Runnning Wolf’s Rant.